Zihuatanejo has its own host of adventures, many of which take advantage of the town’s protected bays and, further out, powerful waves. Hire a guide to take you by boat to Playa Las Gatas where legend tells of a Tarascan king who built a reef so his daughters could swim safely. Dotted with palm trees and fish taco joints, the beach affords snorkelers the opportunity to spot sea turtles and rare species of fish, including one that looks like it has blue jewels on its fins, creating sparkling underwater reflections. Experienced divers join excursions to Los Morros de Potosi where white granite rocks protruding from the ocean provide shelter for pelicans and seagulls. Beneath the surface, divers delight in a network of caves, vertical walls, arches and tunnels. Ixtapa and Zihuatanejo offer their visitors the pleasure of all sorts of discoveries—such as finding that masseuse who offers a two-hour massage in an open-air hut a stone’s toss from the ocean. Or spending an hour exploring “Zihua’s” thoroughfare called Calle Adelita and then choosing between the five-table humble family eateries or the slow food specialties at La Gula, a mansion with terrace dining. At the Delfiniti Ixtapa water park your day concludes with a dolphin giving you a kiss. 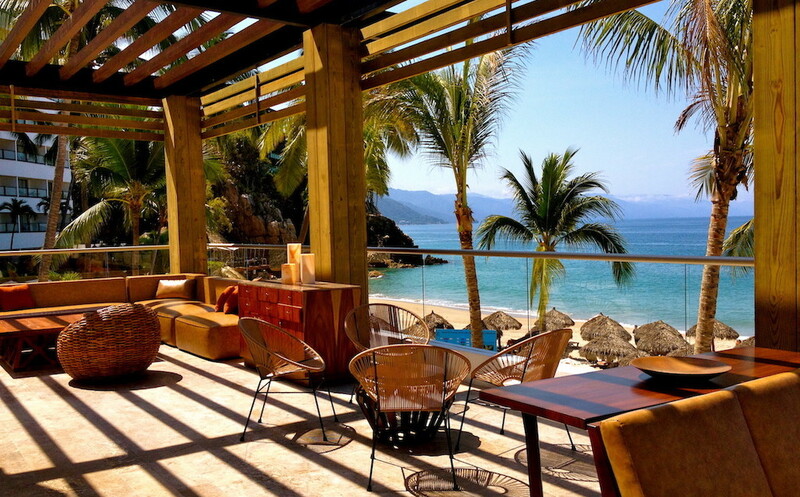 These are but a few of the ways you can enjoy two vacations in one at Ixtapa and Zihuatanejo.